Well it's summer and it's been hot - what do you say we look at a few lighter-bodied whites to beat the heat? Hardly original, so hopefully, I can put together a nice mix of wines for your enjoyment. 2009 Tangley Oaks Chardonnay "Lot #6" (Sonoma Coast) - Here's a Chardonnay from the highly regarded Sonoma Coast zone that is a nice find for those not looking to spend a lot of money. 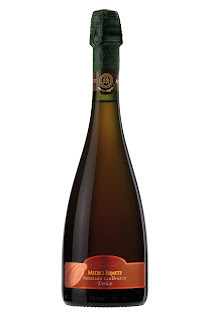 This one has aromas of almonds, spiced pear and baked apples, is medium-bodied and has a rich, earthy finish that has a slight bitterness on its own, but becomes much more appealing when paired with the ideal food, such as grilled chicken or shrimp. This delivers a lot of flavor for the $16 price tag. (Both this wine and the Terlato Pinot Grigio are represented by the Terlato Wine Group of Lake Bluff, IL). 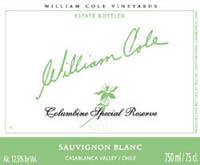 2011 William Cole Sauvignon Blanc "Columbine Special Reserve" (Casablanca Valley, Chile) - There are so many excellent examples of Sauvignon Blanc from Chile, as I've noted in these pages over the past few years; most of them are from cool growing areas such as Leyda or Casablanca Valley. This one is from the latter area and it's always a pleasure to taste this wine from this ultra consistent producer. One smell and you instantly know you're dealing with Sauvignon Blanc, given the spearmint, chervil and freshly cut hay aromas. Medium-bodied, this has a pleasing finish with very good persistence, distinct herbal notes and tangy acidity. What a nice wine on its own or paired with just about any type of shellfish. A very nice value at $16 (Imported by Global Imports, Berkeley, CA). 2010 Vigne Surrau Vermentino di Gallura Supriore "Sciala" - What a pleasure to drink a well made Vermentino any time of the year, but especially in the summer. Many of the finest examples originate from the Gallura area of northeastern Sardinia; the wines here have excellent character with a touch of saltiness, derived from the vineyards being so close to the sea. 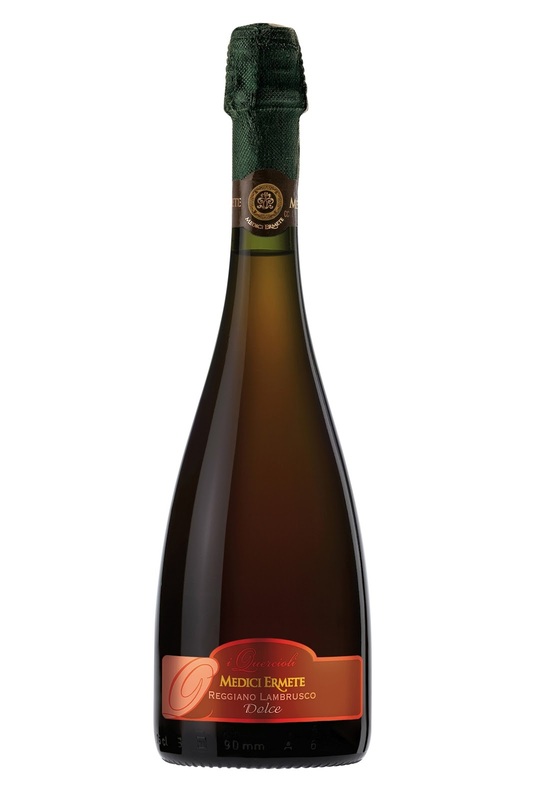 This bottling from Vigne Surrau has sumptuous aromas of honeydew melon, Bosc pear and jasmine, is medium-full on the palate and has the lively acidity you expect from this variety, very good persistence and just a touch of saltiness in the finish. Enjoy this now or over the next year and a half; this is especially good with mussels or clams. $25 (Imported by A.I. Selections, New York City, NY). D for Doyard - D for Delicious! The small town of Vertus in the Cote des Blancs zone of Champagne is becoming one of my favorite go-to areas for first-rate bubblies. I recently wrote about the Terre de Vertus cuvée from the renowned biodynamic producer Larmandier-Bernier. Today, I'm featuring another notable Champagne from this small town. Doyard is a Récoltant-Manipulant, meaning this firm grows their own grapes and then makes their wines from these same grapes. As this is the Cote des Blancs, this is a Chardonnay zone; this particular wine, the Cuvée Vendémaire Brut non-vintage, is a Blanc de Blancs. While many examples of Blanc de Blancs are delicate and sleek, Yannick Doyard has taken a slightly different approach with this cuvée, as he vinifies 40% of the wine in barriques, giving the wine greater complexity and toning down the fruit-driven nature of the Chardonnay. Light yellow in appearance with a very persistent bead, this has lovely aromas of pear and lemon with a distinct yeastiness. Medium-bodied, this has a rich finish with very good acidity and a slight bready quality that is often found in similar Champagnes. As this is a Blanc de Blancs, this is not a powerful Champagne, but one that offers more finesse and subtlety; this would be wonderful paired with many types of river fish or lighter seafood, especially with a cream sauce. Enjoy this over the next 3-5 years. At a suggested retail price of $45, this is a notable value. Red, Fizzy, Sweet and Tasty! This is the time of year when the obligatory "summer white wines" post appears on so many blogs. I'm in Chicago, where we've really been blasted over the past ten days with oppressive heat, so summer whites have definitely been part of my routine as of late; I'll post on a few of these wines very soon. But first, how about some summer reds? Yes, you read that right - summer reds! I tried two examples of Lambrusco Dolce this past week and enjoyed both of them very much. Lambrusco from the Italian region of Emilia-Romagna has been making a bit of a comeback lately, as there are numerous producers that take a lot of care in producing this lightly sparkling (frizzante) red. 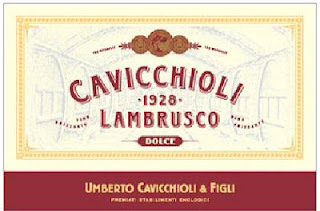 The first was from the noted producer Cavicchioli. Their Lambrusco Dolce, fitted with a screw cap, is a delight - highlighted by black raspberry and cranberry aromas and flavors. Lightly sparkling with a delicate sweetness, this is cleanly- made, quite tasty and very delicate, as the alcohol is only 7.5%. At a suggested retail price of only $7.99, it's hard to go wrong with a glass of this on a hot summer night. Another excellent example of Lambrusco Dolce is from Medici Ermete. This version is drier than the Cavicchioli and has a touch more alcohol (8.5%). This one will probably surprise you with its complexities, from the Queen Anne cherry, black raspberry aromas and flavors to the rich finish with notes of cocoa powder and nutmeg in the finish. I'd love to try this with pizza on a hot summer night! While both of these wines are for immediate drinking, the Medici Ermete will probably be fine in another year or so. It's a lovely wine, especially priced at $11.